PHUKET: Officials have seized another baby elephant in Phuket being used by touts to charge tourists money to have their photo taken with the iconic animal. Livestock officers seized 4-year-old “Namwan” at the “Mai Khao Mart”, near Mai Khao Plaza at the northern end of Phuket, yesterday afternoon (Aug 3) after a tip-off from undercover police. 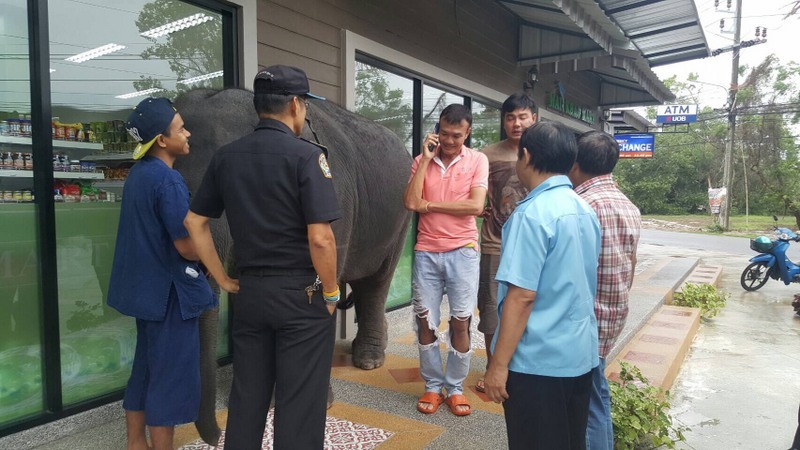 “When officials arrived we found the mahout with Namwan asking tourists to have their photo taken with the elephant,” said Surajit Witchuwan of the Phuket Provincial Livestock Office. “We don’t know where Namwan was born; we are still checking details on the microchip,” Mr Surajit added. 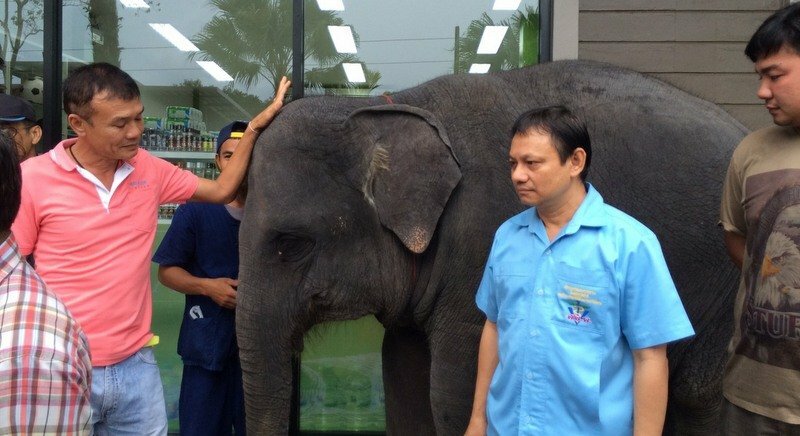 “However, Namwan’s owner, Suwatchai Kamthip, has admitted to bringing her from Phang Nga to Phuket without a permit,” he said. Mr Surajit estimated that Namwan was valued at about B1.8 million. “We will hold Namwan for 30 days in quarantine while a suitable location for her to be moved to is chosen,” he added. 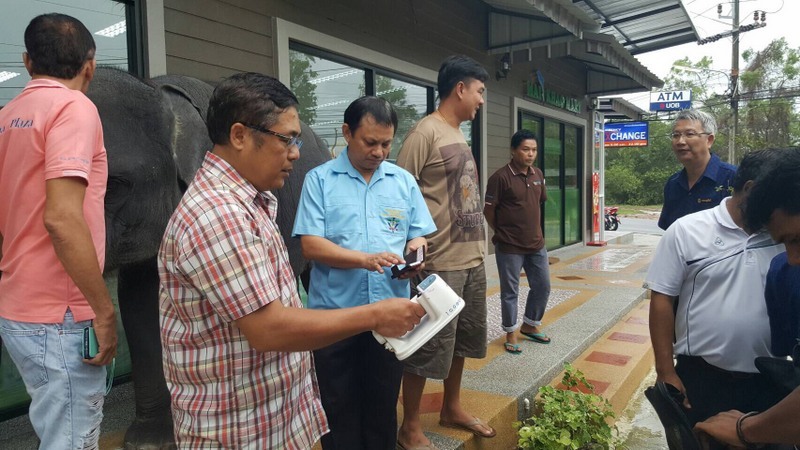 Mr Surajit said he did not believe Namwan was the elephant reported by tourists at Patong and Tritang beaches. At last report, livestock officials and police are still trying to track down the baby elephant reported at those locations. “We’re still investigating those reports,” Mr Surajit said. 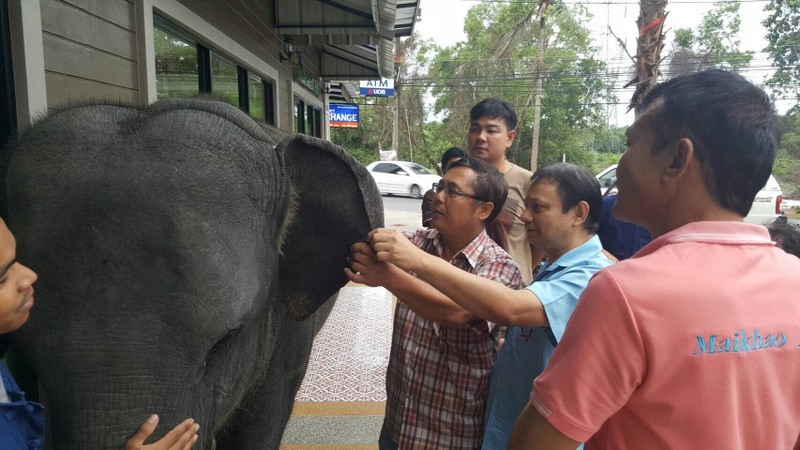 Namwan is the second elephant to be taken into custody from photo touts this week. Anyone else had comments not post, when Joe12 is losing a debate... many of mine are mmm "censored" or not posted until some time has elapse, so no-one gets to read them. Am stating to think Joe12, besides having a few alias, is paid by Phuket News. Yes Ed Sanders, Thank you, you are very right. We all here write comments on PN articles. Sometimes with different view on matters, but that makes it interesting. Sometimes we react on each other, but we do that with respect for other opinions. I feel when someone call people names, insults, bluntly twist around with subjects, such a person is a dissonant. His question to me was: What is wrong with the beach? But, as Christy Sweet already wrote, Joe12 like to shift the goal poles all the time, twisting around and change the subjects, just to get the sour out of his system. As we see, no use at all to answer Joe12's questions. He just humps away from his own questions. Ed..no need to apologise. Shows how much you know about people. I don't drink sorry. Kurt...go educate yourself about elephants and mahout's. No, the article is about finding an elephant at “Mai Khao Mart”, near Mai Khao Plaza at the northern end of Phuket" and being being brought to the area without a permit. Hi Kurt, I must apologize for Pal Joey... it looks like the grey weather has caused him to spend even more time on his barstool at OTEP Village, where he evidently has proceeded to start coming unglued. Nothing is wrong with the beach, Joe12. The article is about touting young elephants at the beaches. Humans go to the beach, Joe12, yes, but humans have the freedom to sit/lay in the sun or in the shadow. A young elephant, with a tout, at the beach has not that freedom. Moreover, elephant skin is very sensitive. Kurt...perhaps you should be inventing it. What's wrong with the beach? Humans go there. Nice that elephants now have a microchip to identify them. How about a GPS microchip? So that thai authorities, nicely sitting in airco office can see from there were the elephants are, and take action without the need for searching the elephants. For the welfare of the elephants, they should not be at the hot thai beaches. That is animal cruelty.